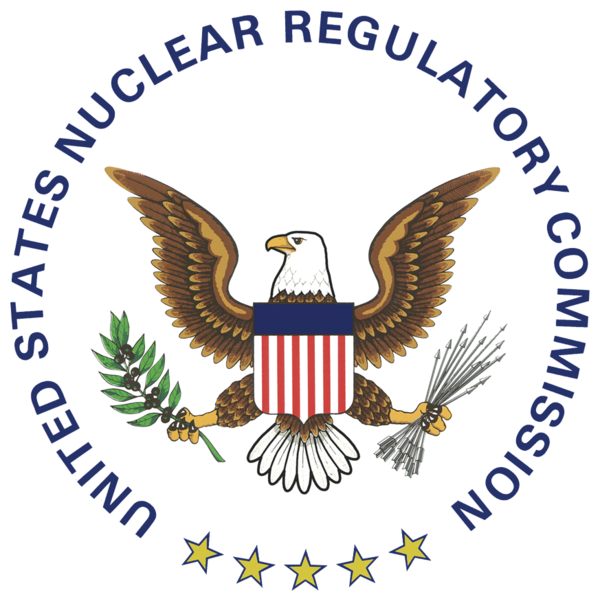 President Barack Obama has nominated Allison Macfarlane to be the new head of the Nuclear Regulatory Commission. Macfarlane is currently an associate professor at George Mason University in Fairfax, VA, and was part of Obama’s Blue Ribbon Commission on America’s Nuclear Future, a panel that was, among its responsibilities, asked to examine how the country should deal with its growing nuclear waste storage crisis. She holds a PhD in Geology from MIT. If confirmed by the Senate, Macfarlane will replace Gregory Jaczko, who announced his resignation Monday after months of pressure from the nuclear industry and their friends in government. As predicted, in choosing Macfarlane, Obama tapped someone who is on record as opposed to the Yucca Mountain nuclear waste repository. Macfarlane quite literally wrote the book on the subject–she is the editor (along with Rodney Ewing) of Uncertainty Underground: Yucca Mountain and the Nation’s High-Level Nuclear Waste, a review that is predominantly very critical of the choice of the Yucca site. Because confirmation has to move through the Senate, it would need the consent of Majority Leader Harry Reid (D-NV), a longtime opponent of the Yucca project. In terms of nuclear energy, I would describe myself as an agnostic. I’m neither pro-nuclear or anti-nuclear. I think nuclear has been doing a good job in the United states and some other industrial countries at providing a good, reliable energy, and they’ve been improving on that. At the same time, I think I think in terms of an expansion in nuclear power over the next 50 years or something, nuclear has lot of liabilities and I don’t know if it can get over them. If Macfarlane has objections to the expansion of commercial nuclear power, it would seem to be based on the cost–as she explained in a 2007 MIT lecture–and issues of waste storage. To that second problem, Macfarlane is on record as favoring so-called interim solutions. As explained to me by Beyond Nuclear’s Kevin Kamps, who has met with Dr. Macfarlane, the NRC nominee thinks dry cask storage is “good enough” for now, and is in favor of “centralized interim storage”–a plan to collect spent fuel form the nation’s nuclear plants and move it to a handful of regional, above-ground storage facilities until some unspecified time in the future when a long-term program is completed. Sites rumored for possible interim storage facilities include the Utah desert, the Savannah River Site in South Carolina, and the Dresden nuclear facility in Illinois. The state governments of New Mexico and Arizona have also made moves to request they be considered as repositories for nuclear waste. The problems with dry casks and centralized interim storage are many. Kamps, a longtime critic of standard dry cask storage, notes that current dry casks are built to shield workers from radiation, but not designed to withstand long-term exposure to the environment or to survive a hostile attack. Some of the nation’s casks already show signs of wear, cracking, and corrosion. Beyond Nuclear recommends hardened dry casks–something different from standard casks–for this level of storage. Kamps was unsure what Macfarlane’s position was on requiring hardened dry casks. There are massive security concerns around the idea of centralized interim storage, too. Not only would the facilities themselves be potential targets for terrorist attack, the transportation of nuclear waste would be vulnerable. And, it should be noted, as currently conceived, centralized sites would necessitate transport of waste through densely populated areas over insecure stretches of rail lines. Kamps was also dismayed over Macfarlane’s enthusiasm for the Onkalo spent nuclear fuel repository in Finland. The underground facility, still under construction on Onkiluoto Island, has come under scrutiny by nuclear watchdogs for some of the same reasons critics worry about Yucca Mountain. Of course, recent events in Fukushima have shown Macfarlane et al to be eerily on target. No doubt, Macfarlane would at least like to see spent fuel moved out of pools (even if it is to dry casks) to bring the density down to original design parameters. Whether Macfarlane will feel inclined to push the nuclear industry in this direction is another matter. Kevin Kamps estimates that moving spent fuel from pools to dry casks would cost roughly $100 million per facility, and cost has been a principle reason nuclear operators have dragged their heels on transferring older spent fuel to dry storage. To date, about 75 percent of the nation’s spent fuel remains in liquid pools. Heartening, too, when it comes to this mother lode of radioactive waste, is word that Allison Macfarlane has been critical of nuclear fuel reprocessing. As discussed here many times, reprocessing is expensive, energy intensive, and actually creates more nuclear waste, not less. The nomination of Macfarlane no doubt signals a deal between Sen. Reid and the White House. Reid, for his part, praised Macfarlane, and announced plans to hold confirmation hearings alongside those for Kristine Svinicki, the sitting NRC commissioner re-nominated by Obama but publicly opposed by Reid. According to the Majority Leader, both nominations will be considered next month. The Nuclear Energy Institute, an industry group, called Macfarlane “an active contributor to policy debates in the nuclear energy field for many years” and urged the Senate to confirm her nomination as soon as possible. As noted with the news of Jaczko’s resignation, the problems of nuclear power transcend the role of any individual. The dirt and danger–and most notably the costs–that come with nuclear power do not change with the personnel of the NRC. And, though it seems hard to imagine, the problems of regulatory capture loom even larger. The only reason Macfarlane is being discussed is because the nuclear industry grew tired of Gregory Jaczko. That the industry and their political pals were successful in pushing out one regulator cannot bode well for another that is in the least bit inclined to regulate.